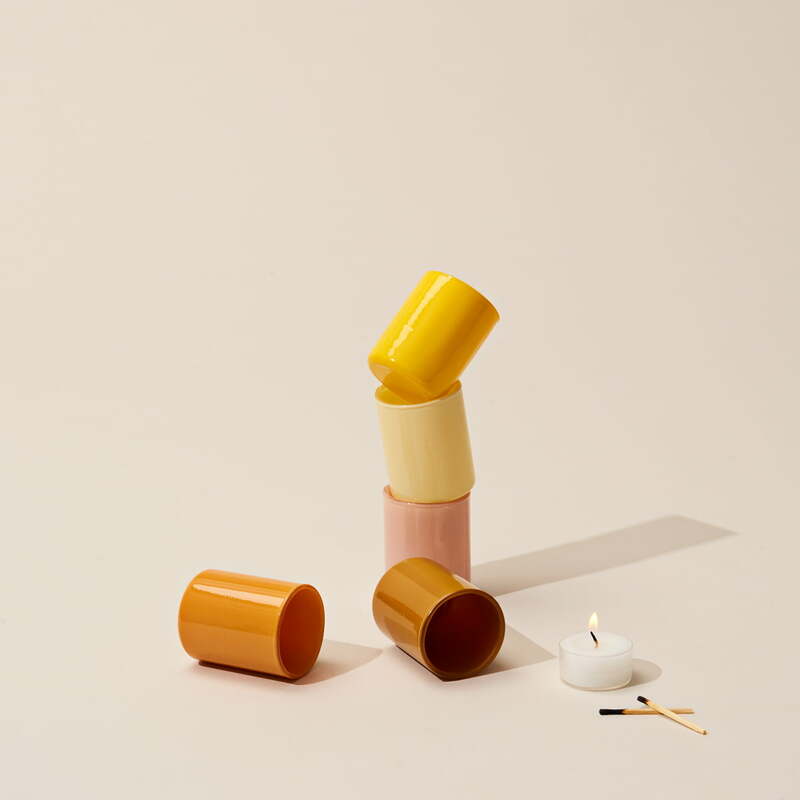 The Spot Votive tea light holders from Hay come in a set of 5 and are timeless decorative elements available in various colours. The tealight holders with a height of 6.5 cm and a diameter of 5 cm are made of coloured glass and receive their unique charm by the naturally formed upper edge. Each edge is formed by the cut somewhat differently, whereby each the tealight becomes a unique specimen. The tealight holders in a set of 5 look great in a row on the windowsill or arranged together on the side table next to the sofa. Alone each holder provides a comfortable atmosphere in the room when equipped with a tealight candle. 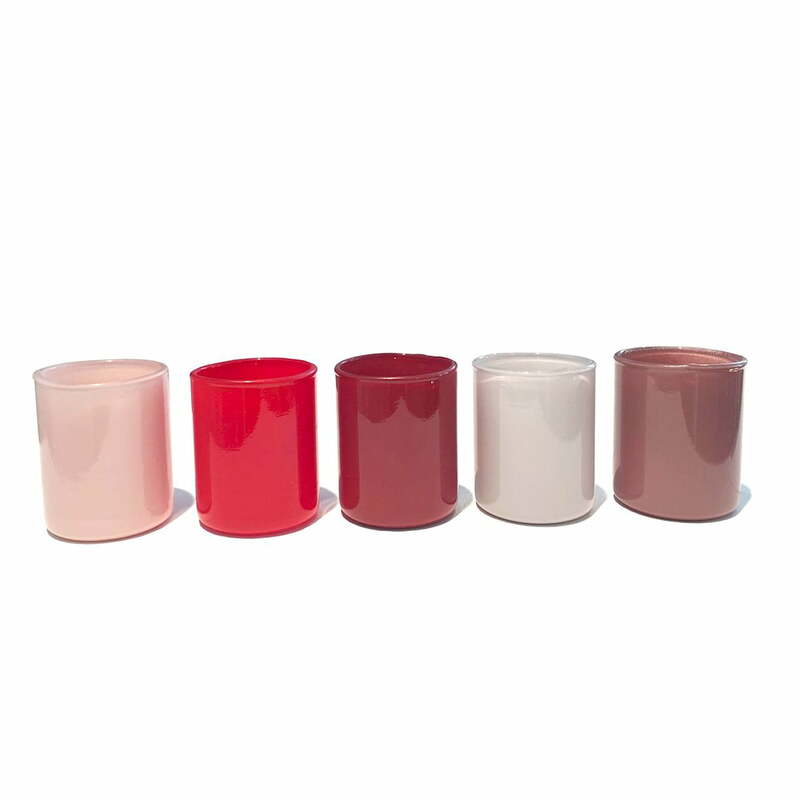 The Spot Votive tealight holders from Hay are available in sets of 5 in different colour arrangements. 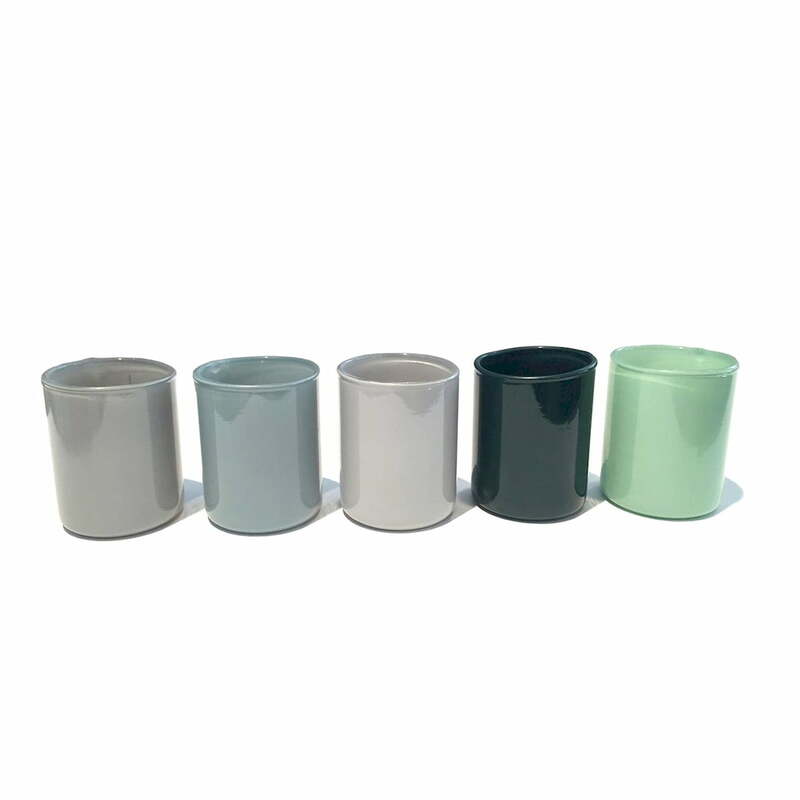 The Spot Votive tealight holder in set of 5 by Hay in green. 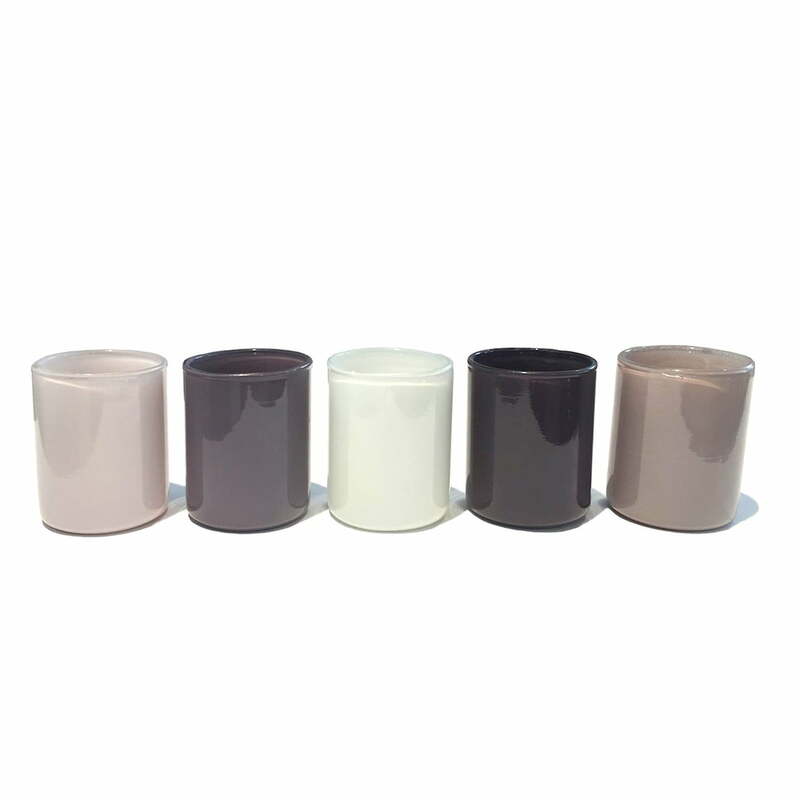 The Spot Votive tealight holders from Hay come in a set of 5 and are timeless decorative elements available in various colours. The Spot Votive tealight holder in Set of 5 by Hay in grey. 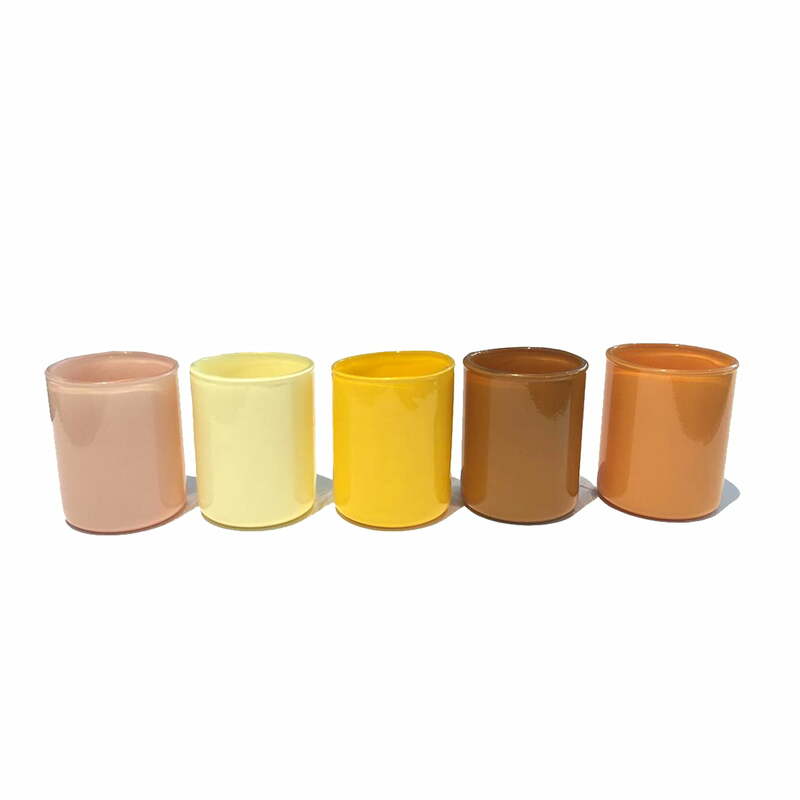 The Spot Votive tealight holders from Hay are available in sets of 5 in different colour arrangements. The Spot Votive Tealight Holder in Set of 5 by Hay in Yellow. The tealight holders get their unique charm from the inaccurate top edge where the glass is cut off. Each edge is formed by the cut somewhat differently, whereby each the tealight becomes a unique specimen.